If ever there were a natural-born career for cats, it would be in the rodent management industry. So why are shelters across the country teeming with unemployed cats? They comprise more than half the roughly 3 million animals euthanized in shelters every year. And if those cats happen to have issues - like taking a turn for the feral - the odds of living a long happy life get even slimmer. Which is what inspired SpokAnimal, a Washington state rescue organization, to come up with the rather creative notion of matching cats to their calling. 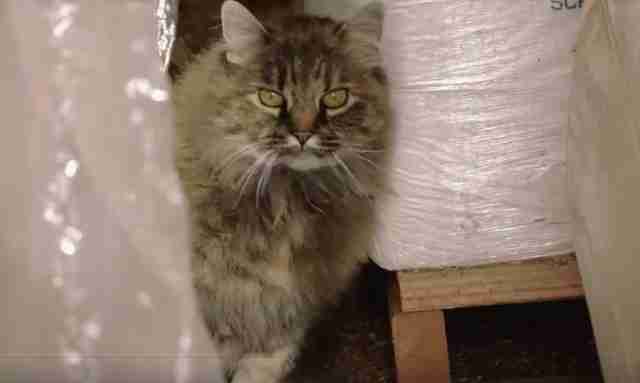 The program, called Farm Livin', pairs shelter cats with people who own farms, warehouses or any property dealing with mouse issues, and gives these unwanted, discarded, supposedly doomed cats their dream job: mouse management. No, it likely doesn't end well for mice. But for the more than 1,700 felines admitted to the program since June 2009, it's a lifeline. And who doesn't love the sight of someone who has finally found her true calling? Just look at this cat, guarding his new castle. Along the way, these cats are spayed, neutered, given vaccinations and, most importantly, given more than food and lodging out of this gig. They waste no time finding their way into the hearts of their employers. Or, we should say, new families. SpokAnimal is looking to grow its program and work with shelters across the country to find jobs for every death row cat. Here's how you can start a Farm Livin' program in your area.